First Robin Hood i believe its called? I am kinda new to the archery thing . We held the annual Family reunion and one of the many activities was Archery. I lucked out ,took first and managed to join my Arrow with my Mocking Cousin who has shot competitive for years. 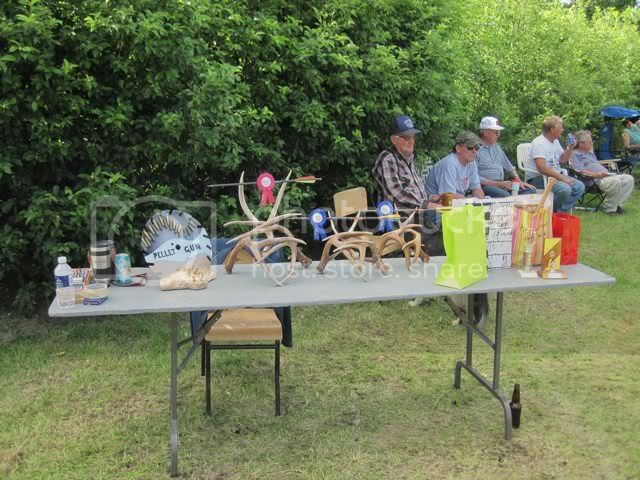 I should have taken pics of the 1st,2nd,third prizes i made out of Shed antlers i restained. Yes especially when i am a newbie and my Competitor shot competitive for years. Probably never happen to me in a hundred years....but for now i have one on old Cuz !! Looks like some pretty fancy fletching and wraps on your cousins arrows. They look like they were built with a lot of love and attention. Those are the best to Robin Hood!!! LOL Congrats again!! !